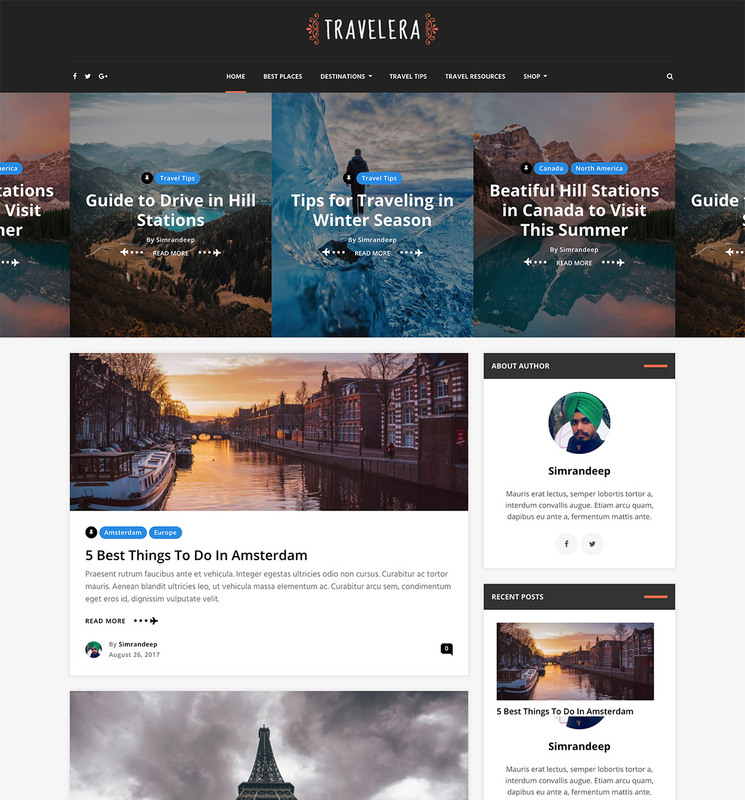 Travelera is a blog theme designed and developed for travel bloggers. But its simple and clean design can be used for any kind of blog. Travelera supports 9 post formats (Standard, Gallery, Link, Quote, Video, Image, Status Audio and Aside). It also provides an easy option to choose 9 different layouts for blog and archive pages and 3 different layouts for single pages.